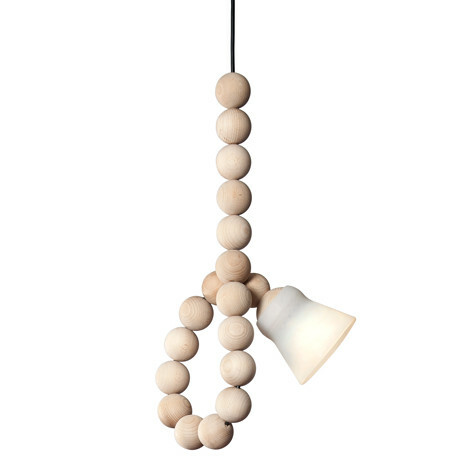 Earl is a simple but dynamic light by German design company Llot Llov, that looks like a giant wooden bead necklace. Earl is very versatile, it can be adjusted in a multitude of ways in order to shed light in specific areas. "EARL is a flexible light which is convincing through its simple but dynamic system. 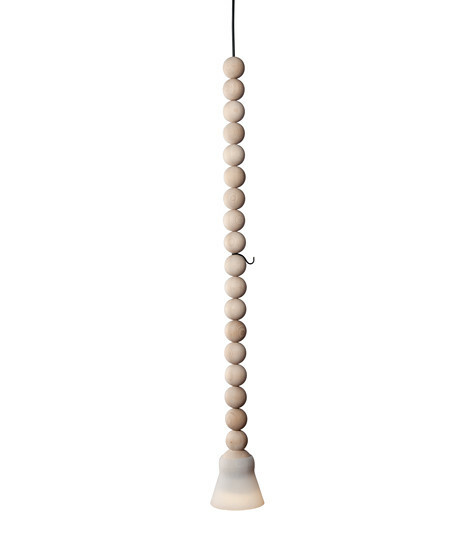 Twenty wooden pearls, threaded on a cable act as levels in order to adjust the illuminating object. A hook locates the light source to any desired position. This provides an easy method of changing height and orientation, which enables a wide variety of implementation. The LED light source is embedded into the biggest pearl at the end of the thread. The silicone shade is pushed onto this pearl without being fixated. 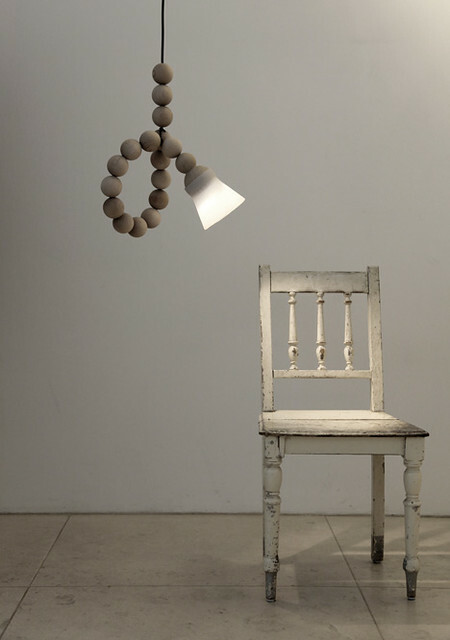 Similar to a spherical joint the silicone shade can be moved into different directions."